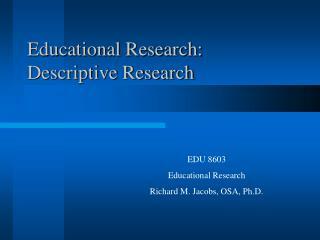 The Inclusive Educational setting Do special educational students benefit from the inclusive educational setting? William Thompson Multicultural Diversity March 24, 2008 Introduction : Current educational practices Special Education Classrooms -students with special needs are separated. 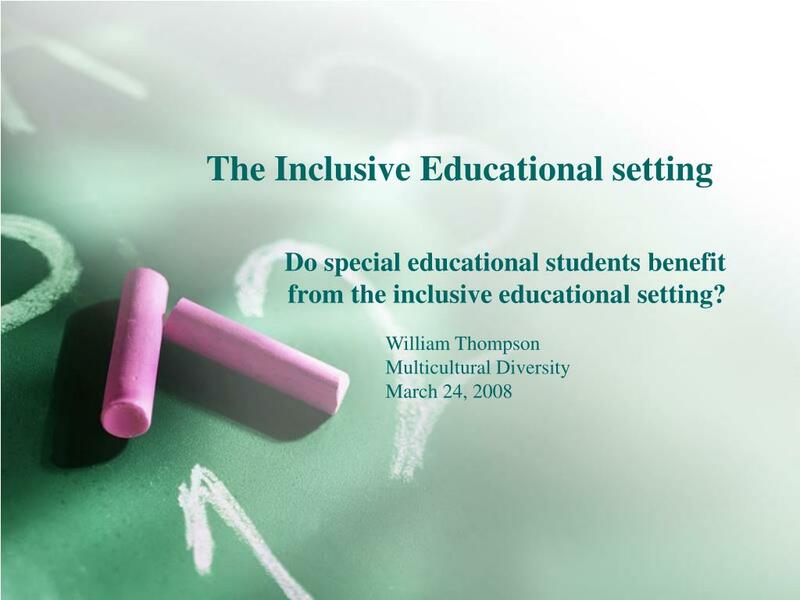 Do special educational students benefit from the inclusive educational setting? 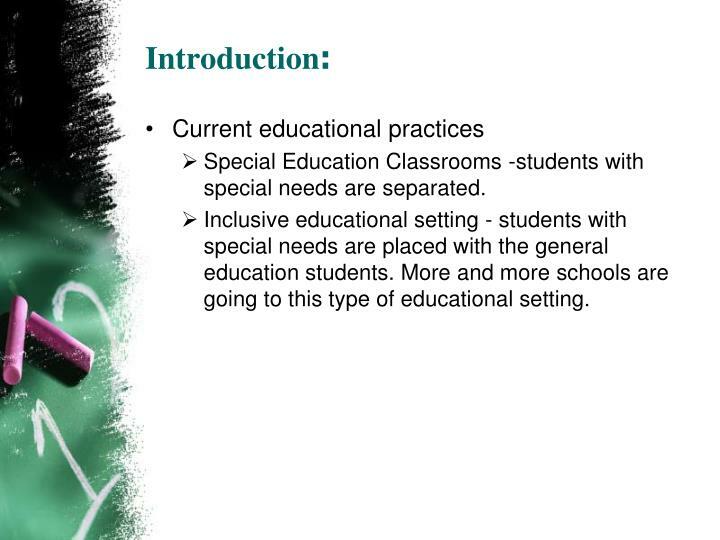 Special Education Classrooms -students with special needs are separated. 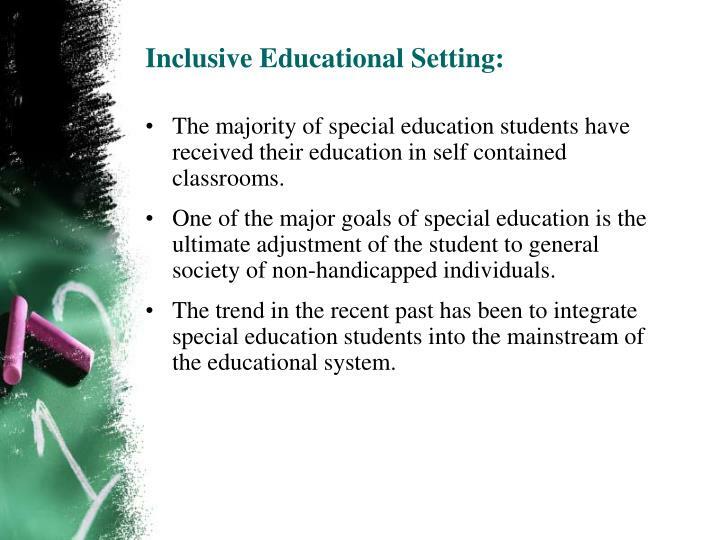 Inclusive educational setting - students with special needs are placed with the general education students. More and more schools are going to this type of educational setting. later renamed to the following law. it states that all will receive a free appropriate public education and related services designed to meet their unique needs. 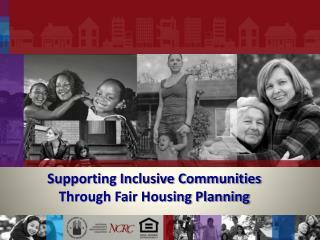 it is a civil rights law/ inclusion is not a requirement. 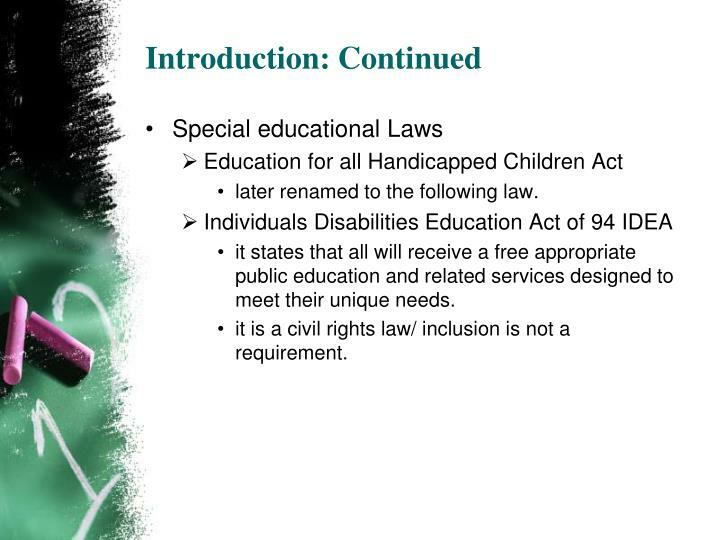 One in every 10 American students in public schools today receives some type of special education under the Individuals with Disabilities Education Act (IDEA). 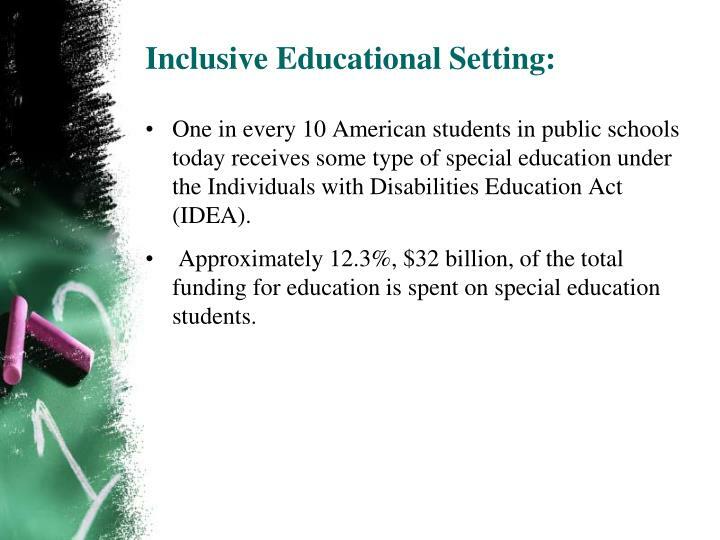 Approximately 12.3%, $32 billion, of the total funding for education is spent on special education students. 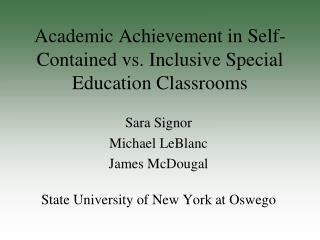 The majority of special education students have received their education in self contained classrooms. One of the major goals of special education is the ultimate adjustment of the student to general society of non-handicapped individuals. The trend in the recent past has been to integrate special education students into the mainstream of the educational system. 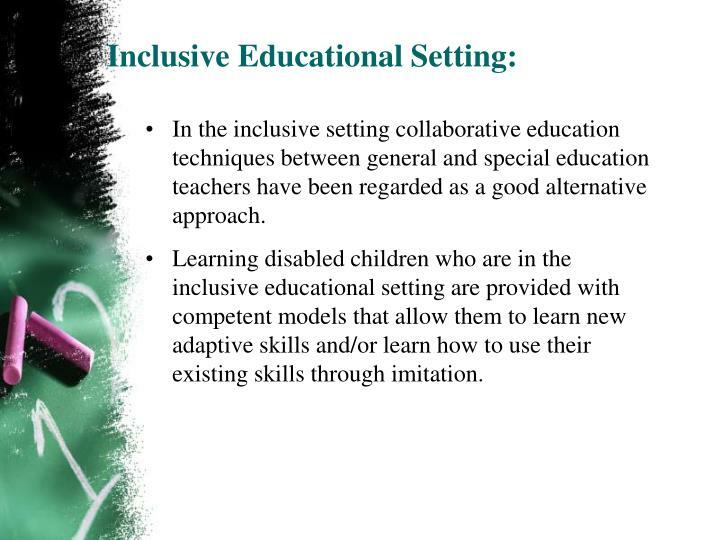 In the inclusive setting collaborative education techniques between general and special education teachers have been regarded as a good alternative approach. 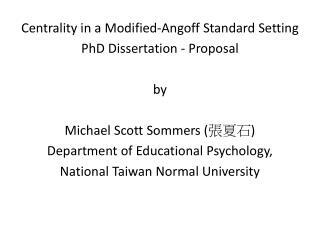 Learning disabled children who are in the inclusive educational setting are provided with competent models that allow them to learn new adaptive skills and/or learn how to use their existing skills through imitation. 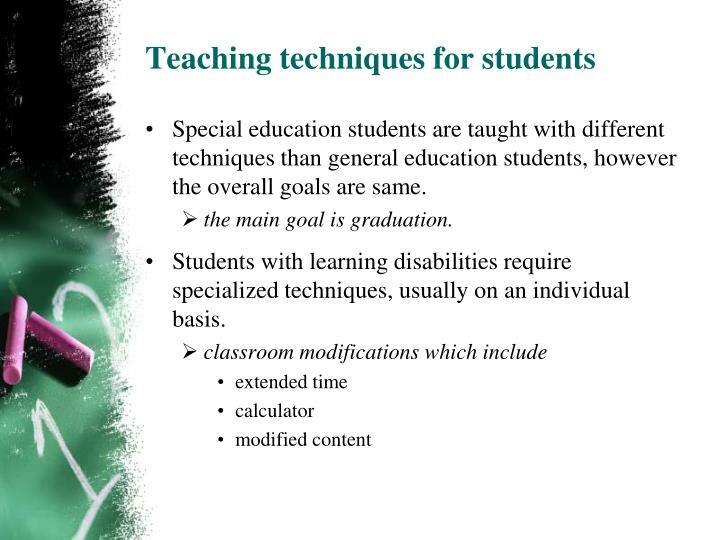 Special education students are taught with different techniques than general education students, however the overall goals are same. 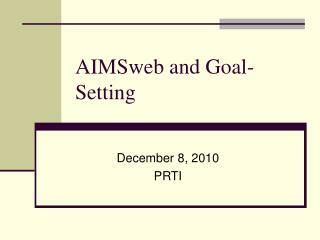 the main goal is graduation. Students with learning disabilities require specialized techniques, usually on an individual basis. 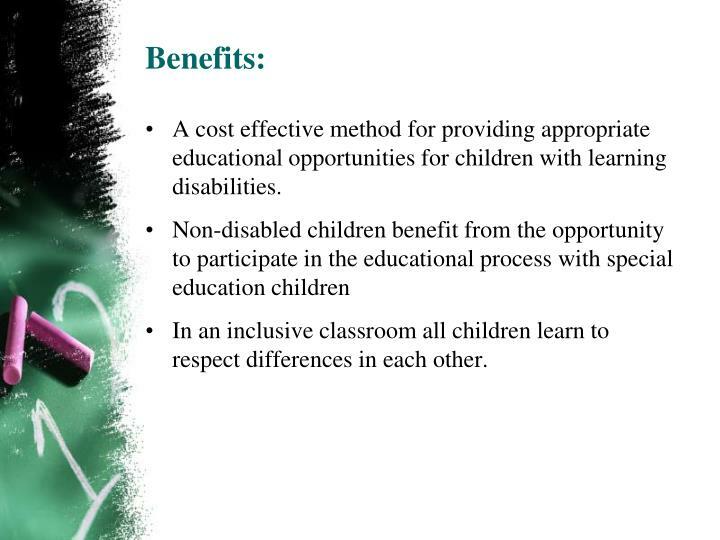 A cost effective method for providing appropriate educational opportunities for children with learning disabilities. In an inclusive classroom all children learn to respect differences in each other. 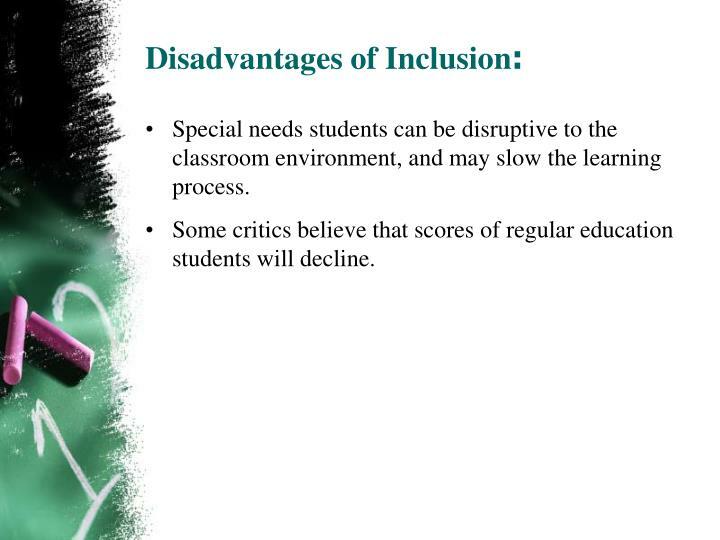 Special needs students can be disruptive to the classroom environment, and may slow the learning process. Some critics believe that scores of regular education students will decline. 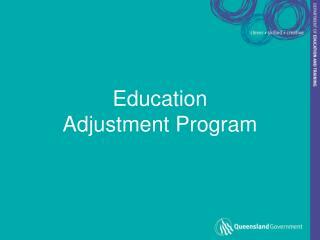 Beneficial to special education students. 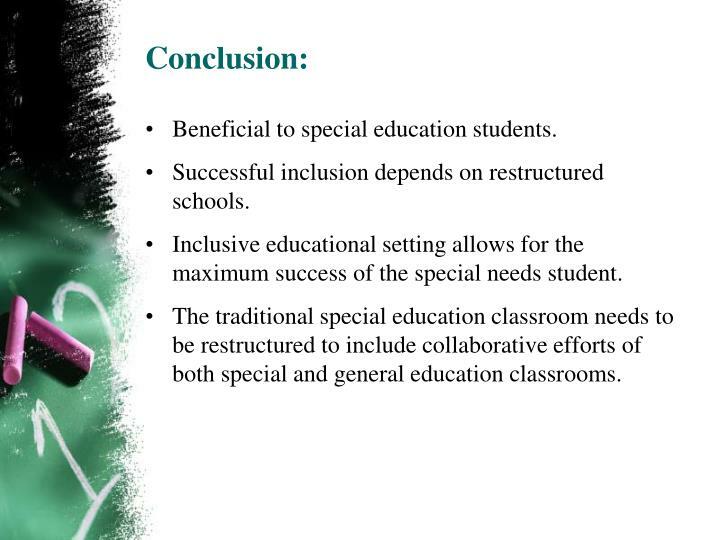 Successful inclusion depends on restructured schools. 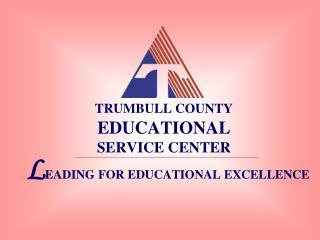 Inclusive educational setting allows for the maximum success of the special needs student. The traditional special education classroom needs to be restructured to include collaborative efforts of both special and general education classrooms. 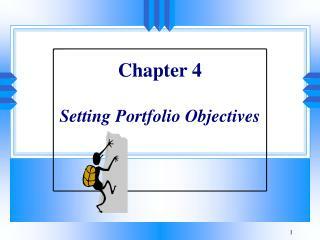 This site offers lots of information for teachers . 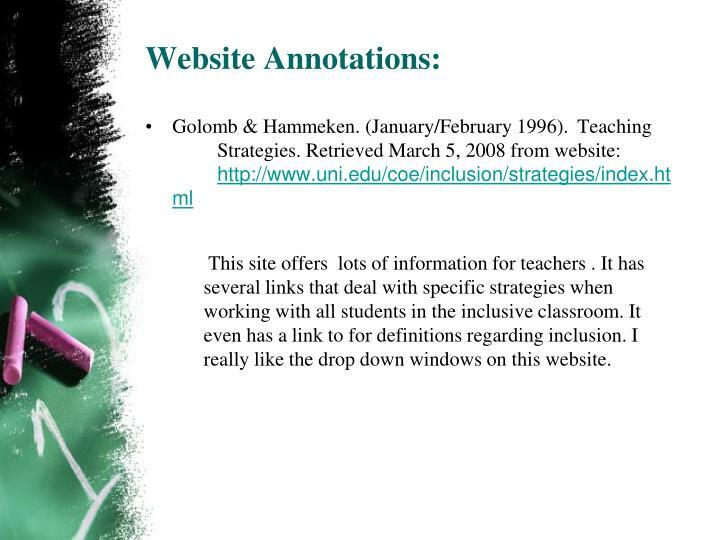 It has several links that deal with specific strategies when working with all students in the inclusive classroom. 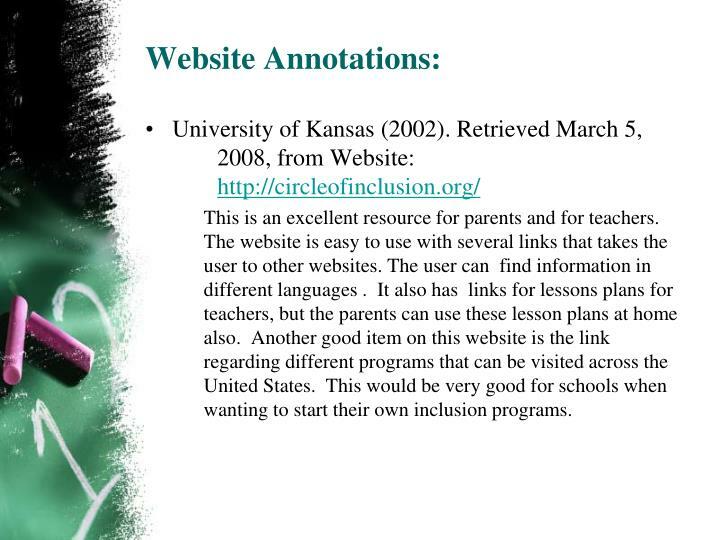 It even has a link to for definitions regarding inclusion. I really like the drop down windows on this website. This website would be used mostly for parents and educators. 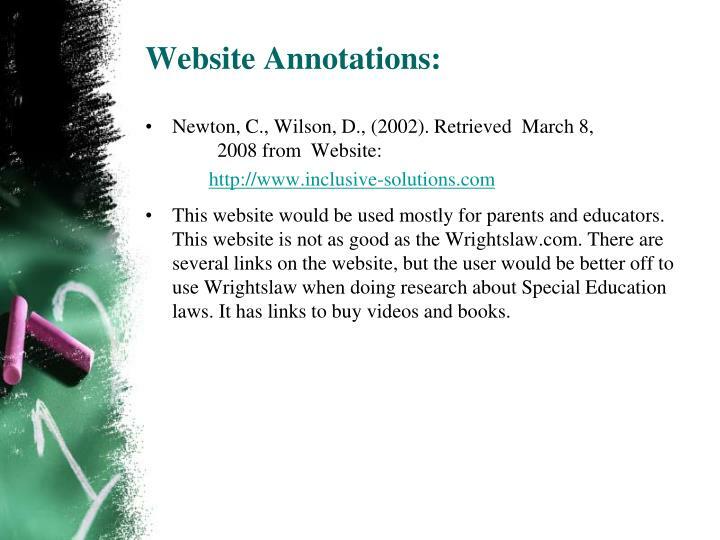 This website is not as good as the Wrightslaw.com. 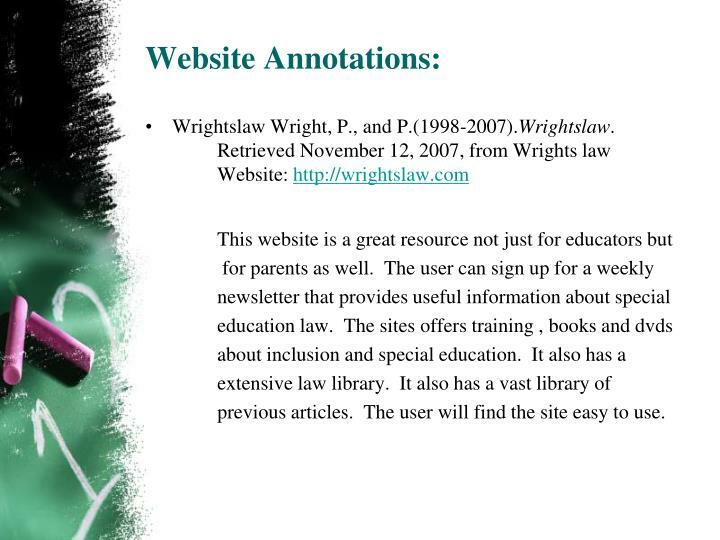 There are several links on the website, but the user would be better off to use Wrightslaw when doing research about Special Education laws. It has links to buy videos and books. 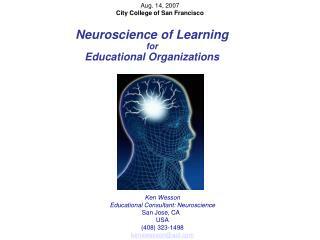 This is an excellent website for educators looking for training. 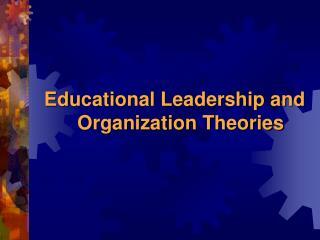 It offers several links that takes the user to sites that deal with training and current issues. The site is user friendly. 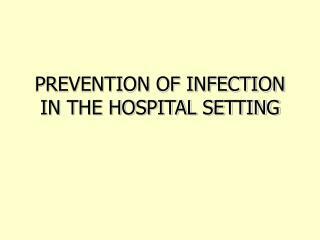 It gives different information and services that are available mostly in Canada. 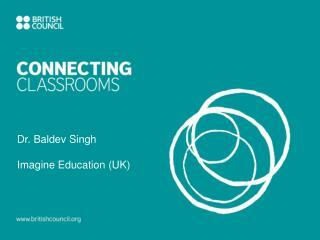 I do like the link about the media resources because it gives information about books and DVDs. 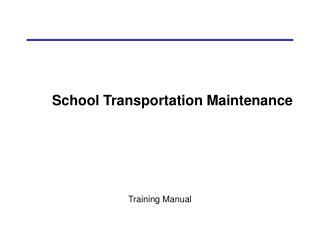 This is an excellent resource for parents and for teachers. 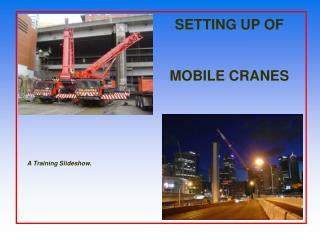 The website is easy to use with several links that takes the user to other websites. 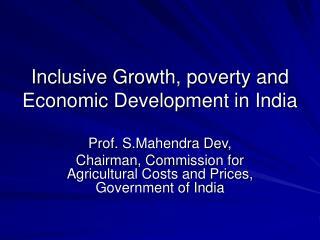 The user can find information in different languages . It also has links for lessons plans for teachers, but the parents can use these lesson plans at home also. Another good item on this website is the link regarding different programs that can be visited across the United States. 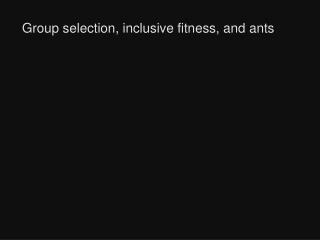 This would be very good for schools when wanting to start their own inclusion programs. previous articles. The user will find the site easy to use. 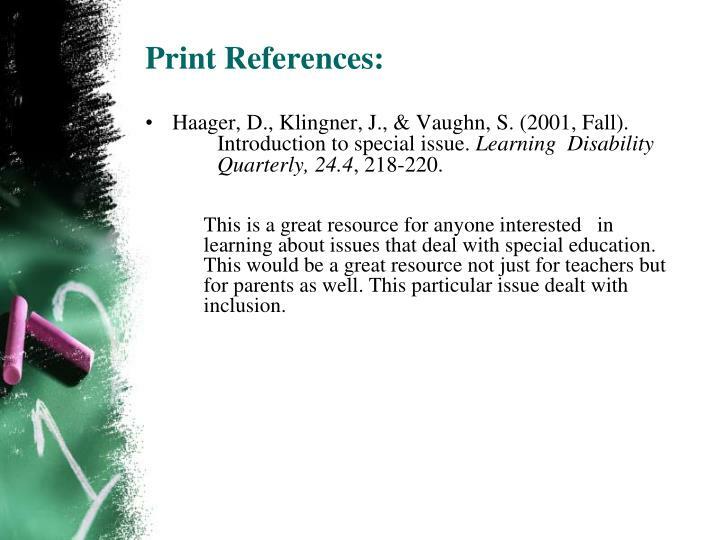 Haager, D., Klingner, J., & Vaughn, S. (2001, Fall). 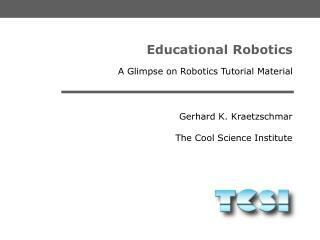 Introduction to special issue. Learning Disability Quarterly, 24.4, 218-220. 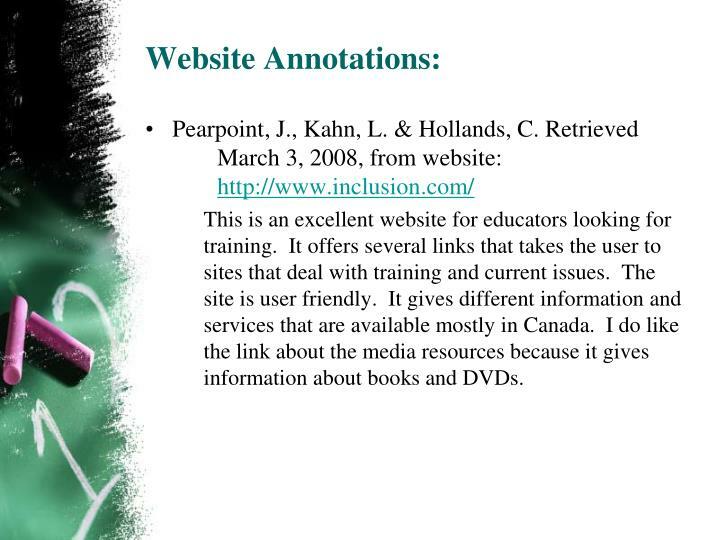 This is a great resource for anyone interested in learning about issues that deal with special education. This would be a great resource not just for teachers but for parents as well. This particular issue dealt with inclusion. Luster, J. N., & Durrett, J. (2003, 11). 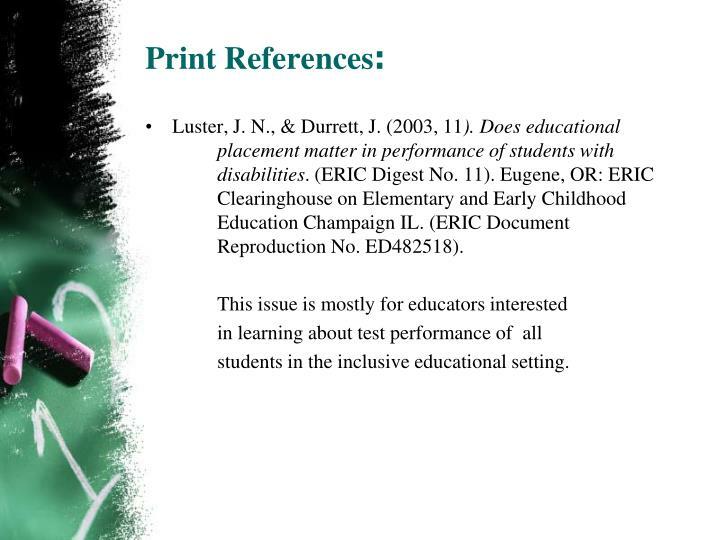 Does educational placement matter in performance of students with disabilities. (ERIC Digest No. 11). 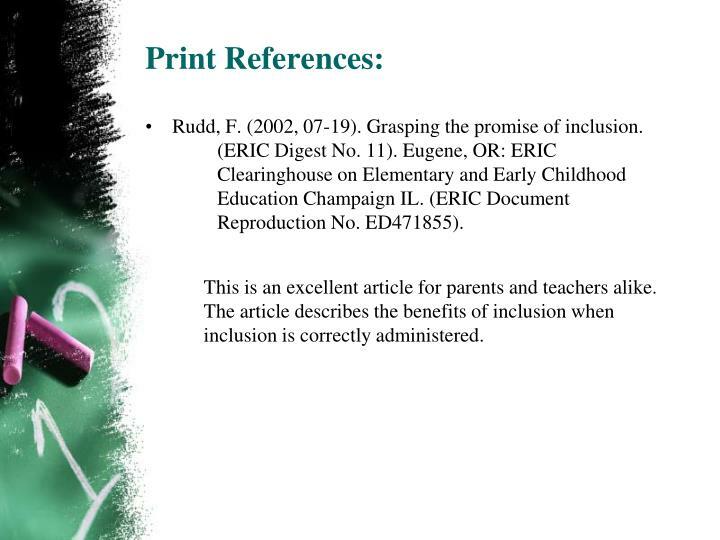 Eugene, OR: ERIC Clearinghouse on Elementary and Early Childhood Education Champaign IL. (ERIC Document Reproduction No. ED482518). students in the inclusive educational setting. Rudd, F. (2002, 07-19). Grasping the promise of inclusion. (ERIC Digest No. 11). Eugene, OR: ERIC Clearinghouse on Elementary and Early Childhood Education Champaign IL. (ERIC Document Reproduction No. ED471855). This is an excellent article for parents and teachers alike. 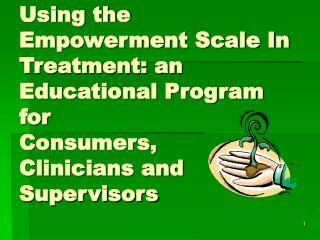 The article describes the benefits of inclusion when inclusion is correctly administered. 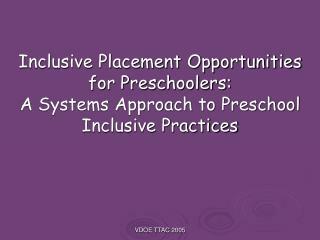 Principles for Inclusive Teaching: practices make the difference -. 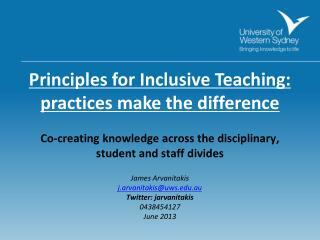 co - creating knowledge across the disciplinary, student and staff divides james arvanitakis j.arvanitakis@uws.edu.au twitter: jarvanitakis 0438454127 june 2013. or.